Its that time again I have two of my fleet of wide body cars requiring replacement tyres. So whats the current thinking on tyres, I have Pirelli Trofeo R tyres on the black Snake and there brilliant but not cheap! I have michelin Pilot Sports on mine and was delighted the car came with a new set having had them on previous cars. Great tyres which have transformed every car I’ve had them on for the better. Michelin Pilot Sport on both my Japanese daily driver and the 993. One happy camper! How wide are your wheels ? 8.5J & 11J ? I've just acquired some 9.5J & 12J Cargraphics and sourcing tyres has been an utter pain - gone 245/35 & 305/30 in the end - although the 305/30 are yet to be delivered. I'm running new PS2's (N) on 17's, so stock as it gets. Tried many over the years and always come back to Michelins when replacing or renewing. Quite impressed with my 18" Bridgestone S02A's though if you fancy an alternative. Mich PS2s on 18", Pirelli Sotto Zero on 17" for winter, which are magic. 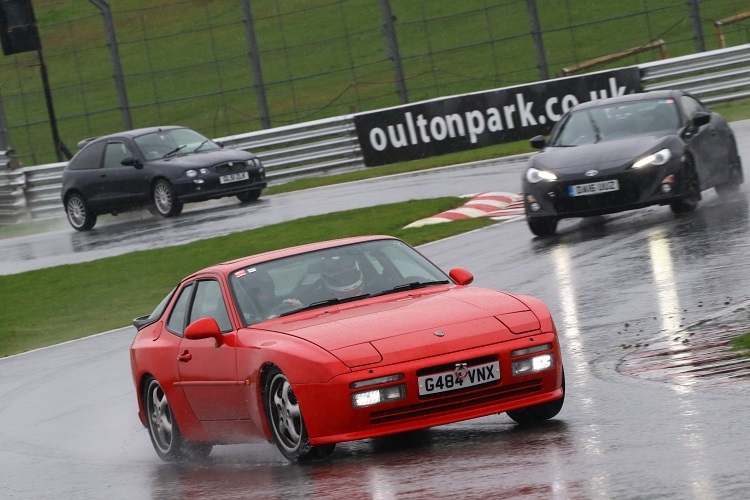 I had Bridgestones on the 944 which were great in the dry but no so great in the wet. 944 on track I use Yokohama ADVAN NEOVA AD08R which are amazing wet or dry and wear rate is pretty good for a track day tyre. Mich PS2 N rated on 18's. Great tyres, only just on my second set, the first lasting a tad over 20k miles. If you have plenty of time, there are many threads on here and elsewhere about the Ps2 N rated versus Ps4 non N rated debate! Michelin PS2s. About to buy a set as mine are 3mm or below now, MyTyres are a little over £200 each fitted, CamSkill about £180 delivered (not fitted). This has to be the best advert for Michelins ever? Tech 9 yesterday. Have PS4s on mine which I think are sensational in the dry but I'm less impressed in heavy rain as I don't think they clear standing water adequately. £356 for two PS2s fitted today. Black Circles have a 10% flash sale if anyone needs some.